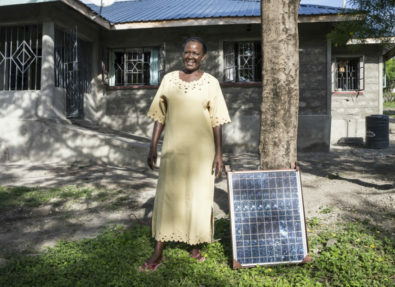 To scale up renewable energy-powered micro-grids for productive use in communities living on the shores of Lake Victoria. The fishing industry in Lake Victoria supports almost two million people, supplying fish to almost 22 million people, but without regular and reliable electricity to preserve fish through chilling. Renewable energy-powered micro-grids can run ice-making machines to preserve fish, which will improve food safety and security and increase local livelihoods and economic opportunities. The program will scale up use of mini-grids in the fishing industry amongst micro and small enterprises with a focus on women and youth.The power generated will be used for lighting and for productive activities (e.g. for producing ice to store fish for sale).